This circular is intended to inform network security specialists of cyber actors’ tactics, techniques, procedures (TTPs) and associated indicators, to assist in network defense capabilities and planning. 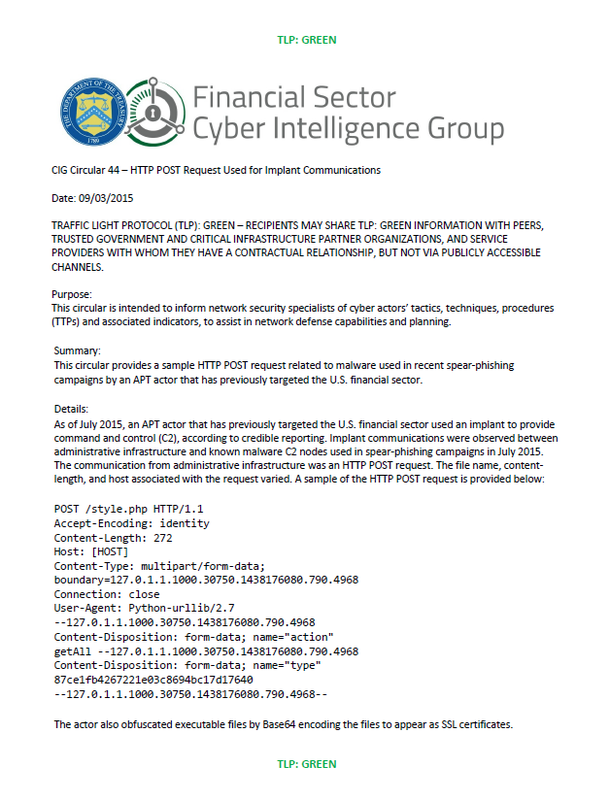 This circular provides a sample HTTP POST request related to malware used in recent spear-phishing campaigns by an APT actor that has previously targeted the U.S. financial sector. The actor also obfuscated executable files by Base64 encoding the files to appear as SSL certificates.